The money keeps rolling in for Irish star Enya despite the fact that she hasn’t released an album since 2009. 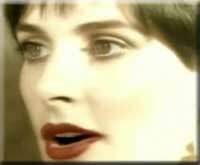 Enya co-owns Aigle Music Ltd, along with her manager Nicky Ryan and lyricist Roma Ryan. The three have worked together for more than 30 years and produced albums that have sold in the millions around the world. In 2013, the company saw profits rise by €221,829 from €429,197 in the previous year to €651,026. Enya’s albums have always sold around the world, even though she shuns the limelight and is rarely seen on television or in the press. ‘The Best of Enya’, the last album by the Donegal-born star, has been at the top of the Billboard New Age Album charts for 56 weeks on and off since its release four years ago. She was the world’s biggest selling artist for two years in a row at the start of the millennium and in total has sold more than 70 million albums. She has also been recognised for the outstanding work during her career, picking up four Grammys and being nominated for a Golden Globe for work on the movie franchise, The Lord of the Rings. In 2011, Enya’s manager and business partner Nicky Ryan said that she was working on a new album in 2011 but there has not yet been any announcement regarding the likely release date.